If you want to recall a package that you have mailed internationally through the United States Postal Service, you must have a good reason. Reasons for stopping mail delivery include fraud or a mailing error. The issue is that once a mailed item has left the country the delivery cannot be stopped. 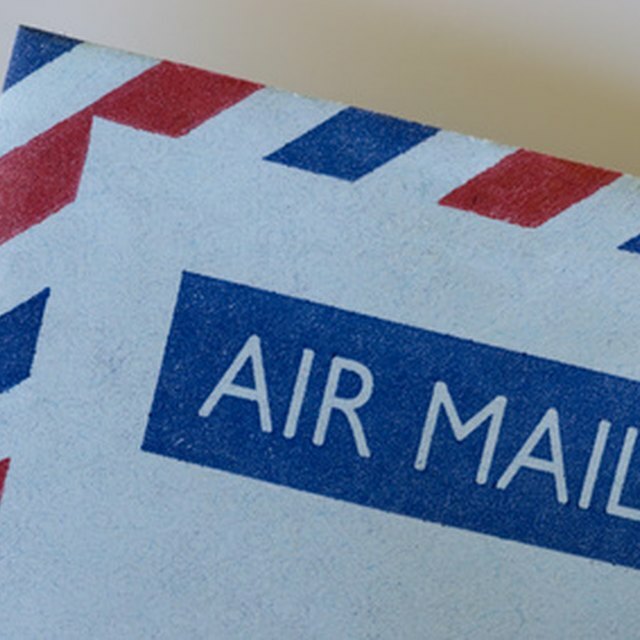 Anytime up to the point when the mail leaves the country, mail sent internationally can be retrieved. Just fill out PS Form 1509, a Sender's Application For Recall of Mail. Download the PS 1509 Form or the Sender's Application for Return of Mail form or obtain the form from your local post office. Print information clearly and legibly to ensure recovery of the mailed item. Indicate on the form the type of delivery service that was used when mailing the item such as Express Mail, Certified Mail, Priority Mail, etc. The mail must have a tracking number in order to be retrieved. Provide the date and hour the item was mailed. Fill in the location where the item was deposited. Provide the return address and the recipient's address information. Check the box to indicate if the address information was typewritten or handwritten. Indicate the postage amount on the mailed item. Indicate a good reason for your request to retrieve the mailed item. Provide any distinct identifying information about the package that will assist in locating it. Sign the PS Form 1509 and submit it to your local post office.